A day late on this one, but still chugging onward with this challenge. 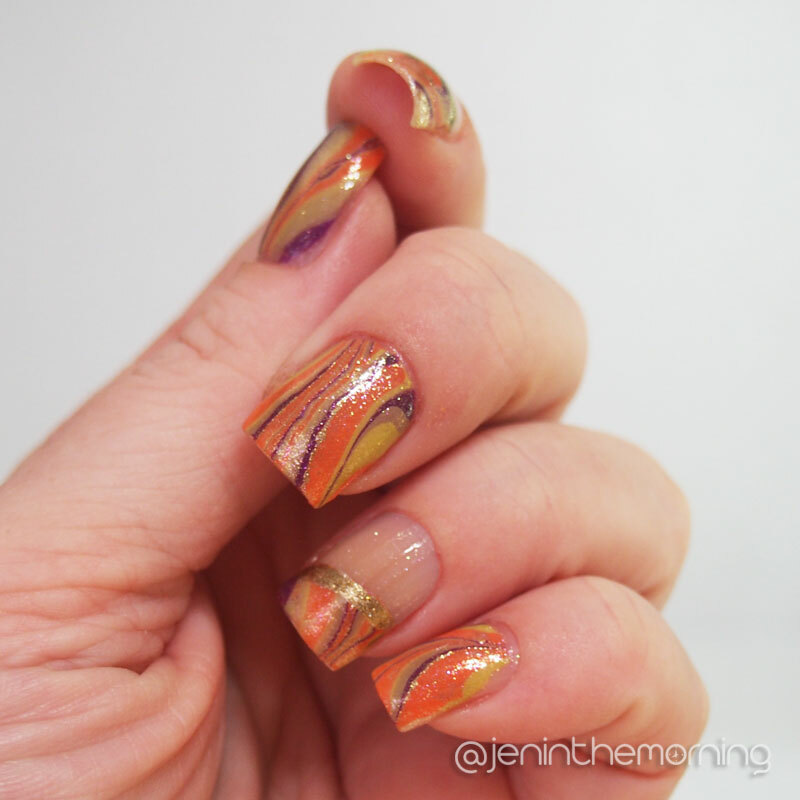 For this challenge I made water marble decals, which is definitely a new-to-me technique. 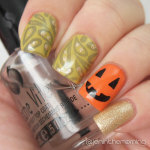 This was also my first opportunity to use one of my new Color Club top coats from their gorgeous Made in New York line. I’ll be doing a separate swatch entry for the two toppers I have soon, but I simply couldn’t resist using it any longer! I often find water marbling frustrating because I set my heart on a set of colors and it never fails that one of them doesn’t spread well. That wasn’t the case this time! All of them spread really well in my little bowl. I left them to dry for about 10 minutes on the surface of the water and then removed the whole piece to a paper towel. When I was ready to apply the water marble decals, I chose a good spot, cut out a piece roughly the size of my nails and then applied clear coat and gently laid the water marble decal on top. I secured it by gently pressing over the top and then added my top coat! I found this method to be more time consuming, but it allowed me to easily do the negative space nails and to choose the exact part of my marble to place on each nail. 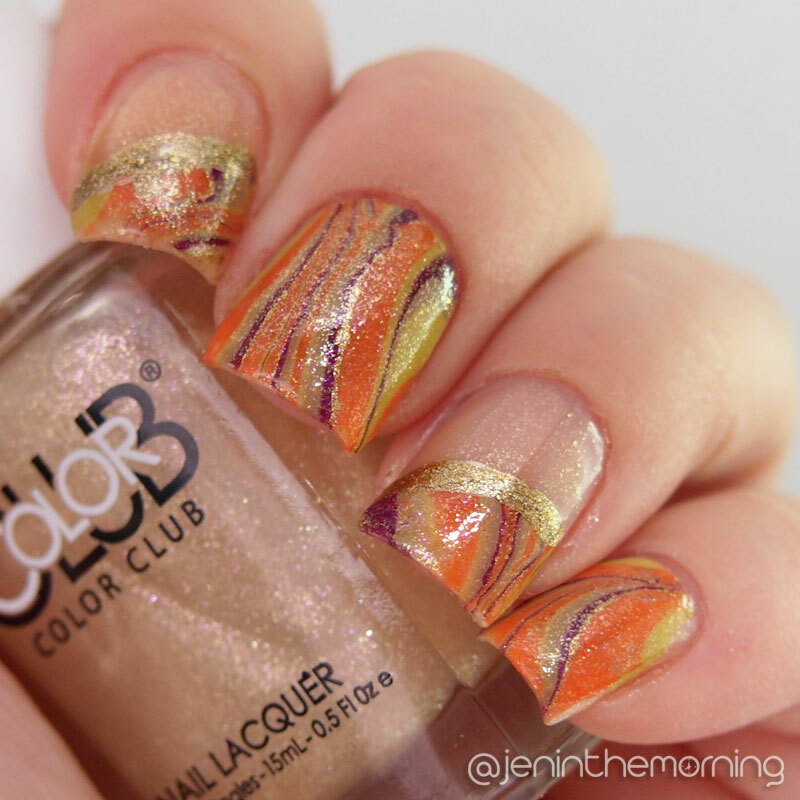 The final prompt for the challenge is Paisley – I think that will be a stamped mani, but we shall see! 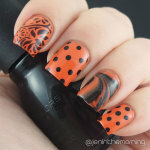 < Still inspired by fall: stamping edition!